Not long ago, it would have been inconceivable that gay men in heels and dresses would be among the most popular people on television, yet the drag queen phenomenon has swept the globe in a flurry of feathers, fishnets and fabulousness. This is largely thanks to American reality television series RuPaul’s Drag Race, which has won its eponymous host three Emmys, seen record ratings and spawned international spin-offs in Thailand and the UK. Fans love the drag queens for their larger-than-life personalities, outlandish outfits and razor-sharp wit — a flawless foundation for an adult animated series like Super Drags . 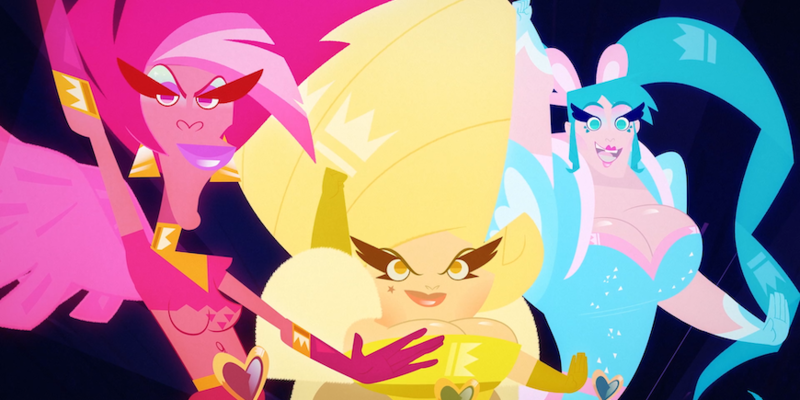 Super Drags was fully conceptualized by Brazilian studio Combo Estudio in 2015, and produced in Toon Boom Storyboard Pro and Toon Boom Harmony animation software. The salacious series follows three drag queens with superpowers who fight forces threatening their local LGBT community. Originally released in Brazilian Portuguese, the English-dubbed version features the voices of RuPaul’s Drag Race alumni Trixie Mattel, Ginger Minj, Willam and Shangela. 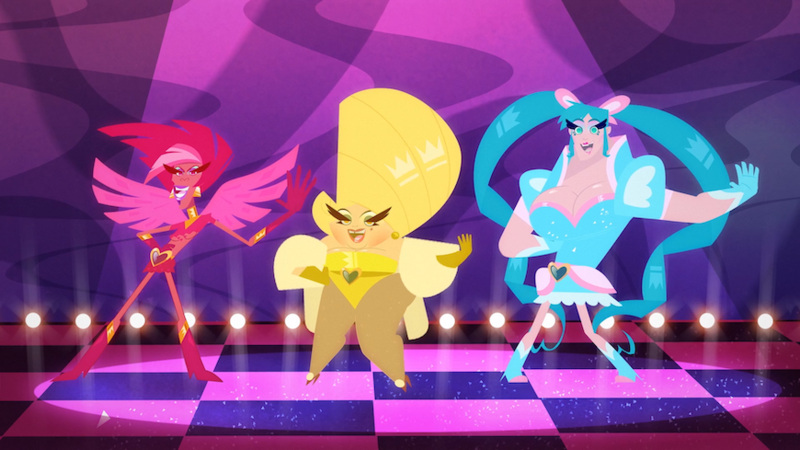 In 2017, Combo Estudio presented Super Drags to Netflix, who loved the concept; the streaming platform has been investing heavily in adult animated comedies like BoJack Horseman, Big Mouth and Paradise PD, among many others. Yet none are as targeted to telling the stories of the queer community. Representation on a platform as global as Netflix can have a huge impact — particularly in places like Brazil, where LGBT rights are still lacking. “Drag queens have gotten really popular in Brazil recently; Pabllo Vittar, who plays a character on Super Drags, was a top artist here last year and is one of the most popular drag queens on Instagram and in music,” says Marcelo Pereira, executive director of Combo Estudio. In many ways, Super Drags is a critique on both how straight people view the LGBT community and how the group sees itself. It uses animation to masterfully blur the line between cultural criticism and comedy, with absurdist situations that would have been impossible in live-action and character designs inspired by real drag queens. “We wanted to make our characters shine as bright as possible, so they would be exaggerated every time we see them on screen — just like real drag queens. Toon Boom Harmony is very helpful in this regard; the software allows us to expand the range of artistic possibilities when animating characters,” says Pereira. Using Toon Boom Storyboard Pro allowed Combo Estudio to save time during preproduction since the software allows for a single artist to do both the drawing and animatics simultaneously. Additionally, many of its team worked remotely, so the software’s files web exchange backup was essential for the supervisor to ensure each episode’s boards were consistent and of the highest quality. 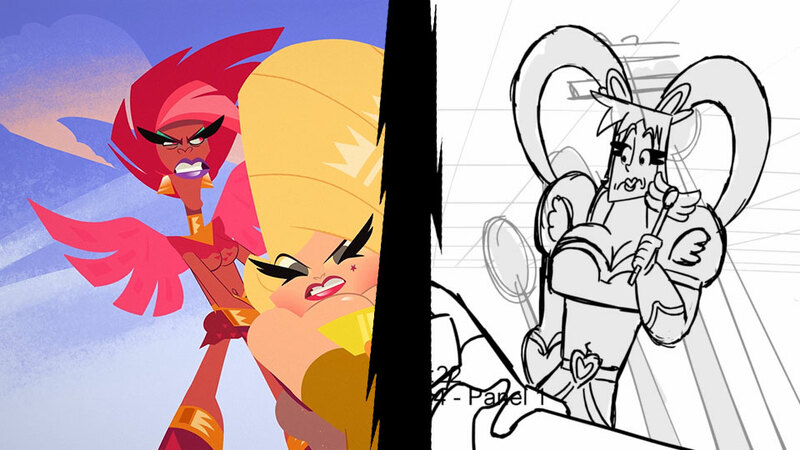 “Super Drags was our first time working on Storyboard Pro and the integration with Harmony was very helpful. In terms of 2D rigging, Harmony is the best software we have worked with,” notes Pereira. Combo Estudio had around 30 animators working on each Super Drags episode, which took about a month to be finalized. According to Pereira, artists were encouraged to fully work on their scenes — doing their key scenes, breakdowns and even compositing. Among the most notable roles in the pipeline were director Fernando Mendonça, art director Anderson Mahanski and animator Vitor Campos. While Pereira can’t share what the studio’s next project is, he hints it will be for a major broadcaster. 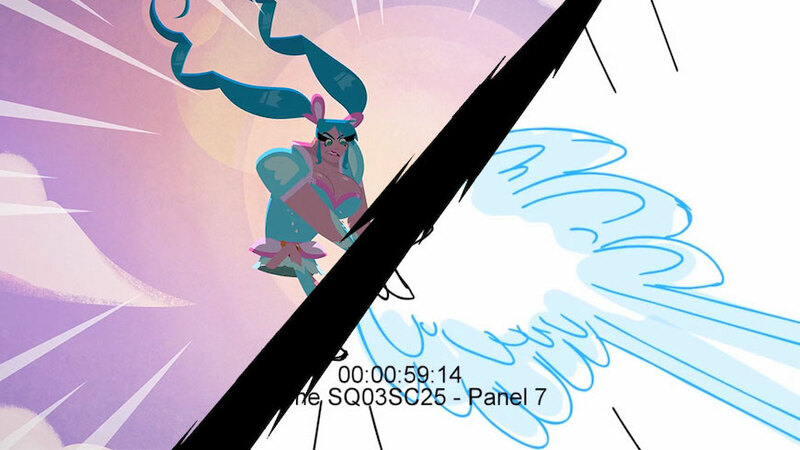 Considering the super results the Combo Estudio saw with Super Drags, there is little doubt its next production in Toon Boom animation software will be equally as fabulous. 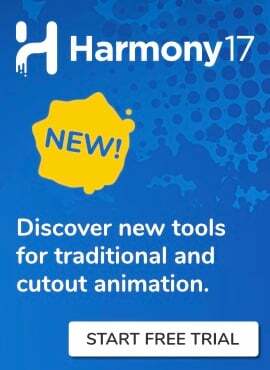 Download a free 21-day trial of Toon Boom Harmony animation software and start your journey today!